EL PASO – June 30, 2017 – Army veteran Justin Griffin has been named the winner of the Bank of America Manager for a Day announced the Chihuahuas. Griffin, who was nominated via a social media contest, will fill the role on Sunday, July 2nd during the GECU Independence Day Celebration as the Chihuahuas take on the Reno Aces (Arizona Diamondbacks) at 7:05 p.m.
Griffin’s honor comes in addition to a $10 military offer on Zone E, K, L & Standing Room Only (SRO) tickets as well as the best postgame Fireworks Spectacular in El Paso on July 2nd and July 3rd. During Griffin’s 12 years of service he received multiple badges, awards and medals. These include but are not limited to the Combat Action Badge, six Army Accommodation Medals, eight Army Achievement Medals, four Good Conduct Medals, and the Humanitarian Service Medal for his assistance with Hurricane Katrina relief. He was also awarded the Joint Meritorious Unit Citation, U.S. Army Airborne Wings, U.S. Army Air Assault Wings and multiple foreign Parachutist Badges, to name a few. DAVID NEVAREZ: David Nevarez served as a Marine from Sept 7 1983 – July 7th 1991 as a Logistics Specialist at various Commands during his time in service. He spent many hours on the flight line and pier side ensuring all Marines and equipment were accounted for. ROMAN SANDOVAL: Roman Sandoval is an Army Combat Veteran from El Paso. He enlisted in the US Army in 2001 and was stationed at Ft. Bliss as an Automated Logistics Specialist. Sandoval was a member of the 5/52 11th ADA Brigade’s 507th Maintenance Company. MICHAEL VELEZ: Michael Velez joined the Marine Corps in September of 2008 and attended the Amphibious Assault Vehicle school and assigned to North Carolina with the 2nd AAV Battalion. Velez was attached to Bravo Company and began doing training for a deployment to Afghanistan. 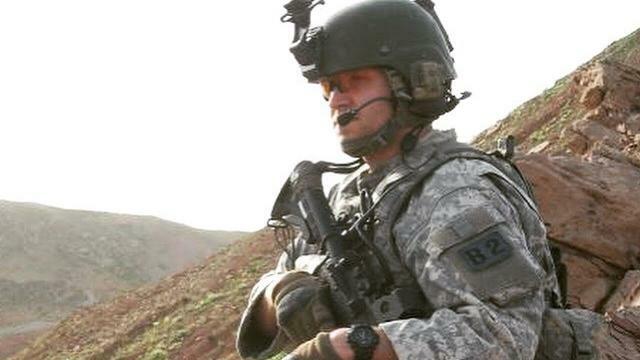 Deployed in December of 2009 to the Helmand Province in Southern Afghanistan, he was part of Operation Moshtarak or also known as “The Battle of Marjah” which was the biggest joint operation in Afghanistan to date. EL PASO – June 23, 2017 – It’s a Fireworks Spectacular! as the Chihuahuas celebrate America’s birthday with the unveiling of the Stars and Stripes jerseys and caps to be worn during the July 1st, 2nd and 3rd GECU Independence Day Celebration games. The jerseys will accompany the best fireworks in El Paso beginning with a postgame Fireworks Spectacular presented by KVIA and KISS FM on July 1st, a special fireworks presentation on July 2nd and an extended postgame fireworks program on July 3rd. Sunday’s celebration will also feature the Bank of America Manager for the Day where the Chihuahuas will recognize a former veteran as submitted by fans. The GECU Independence Day Celebration is at the tail end of an eight-game homestand. The homestand opens with a four game slate versus the Sacramento River Cats (San Francisco Giants) on Monday, June 26th. 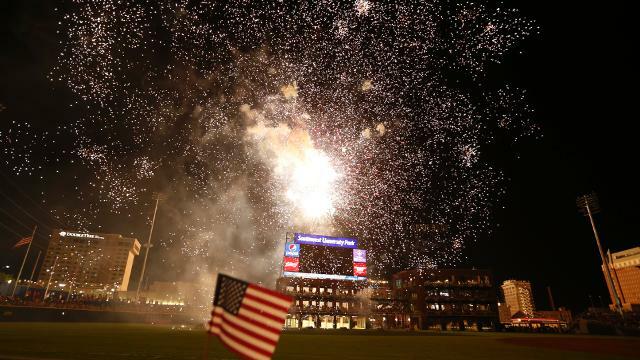 The GECU Independence Day Celebration is part of a four game series against the Reno Aces (Arizona Diamondbacks). Advanced purchase for the home series is encouraged. Purchasing early also gives fans a savings versus walk-up prices. Fans can buy tickets at EPChihuahuas.com or in person at the Durango or Santa Fe Box Offices (opens at 2 p.m. on gamedays only). The Durango Box Office is open Monday-Friday, 10 a.m.-5 p.m.
With the holiday season approaching the Chihuahuas are keeping with the holiday spirit, as they are proud to present the Days of Giving to take place starting today and will run through Dec. 23, benefiting six local charities. Each charity is assigned a day in which the organization will receive 10% of the Chihuahuas net sales in the Chihuahuas Team Shop. 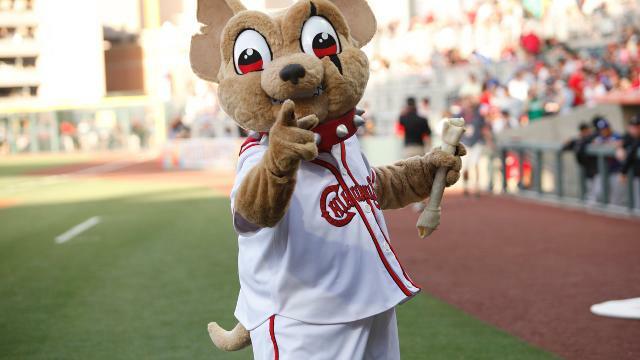 In its inaugural season, the Chihuahuas raised more than $6,700 for local organizations. The Chihuahuas Team Shop is located at Southwest University Park, 1 Ballpark Plaza on the corner of Franklin Ave. and Durango St. The shop is open Monday through Friday, 10 a.m.-5 p.m. and Saturdays 10 a.m.-4 p.m. It is closed Sundays. The El Paso Fire Department and the El Paso Chihuahuas have teamed together to make the holiday season brighter for children as they proudly present “Paws for Presents”, a toy drive benefiting the Child Crisis Center. The drive continues through Saturday, Dec. 13. The Chihuahuas and EPFD request all gifts be new and not gift wrapped for children up to the age of 13. The team will categorize and deliver to the Child Crisis Center. The Child Crisis Center of El Paso protects children from abuse and neglect by providing shelter, advocacy, and family support services. Donations can be dropped off at the 35 El Paso neighborhood fire stations or the Chihuahuas Team Shop located at 1 Ballpark Plaza on Durango St. The Team Shop is open Monday through Friday, 10 a.m.-5 p.m. and Saturdays 10 a.m.-4 p.m. The store is closed on Sundays. “We hope our great community will join the El Paso Fire Department and the Chihuahuas in bringing gifts and joy to the local children this holiday season. Please participate,” said Chihuahuas general manager, Brad Taylor. “The El Paso Fire Department and its membership are excited to partner up with the Chihuahuas for this worthwhile cause,” said Lieutenant James Schaerfl. “We hope the toy drive helps the Child Crisis Center bring joy to the lives of the children it serves during this Holiday Season. I’m positive that the community will give from their hearts and this event will be a great success. For more information, call (915) 242-2025. WHAT: “Paws for Presents”, a toy drive benefiting the Child Crisis Center. Toys must be new and unwrapped for children up to the age of 13. WHEN: Now through Saturday, Dec. 13, 2014. WHERE: El Paso Fire Department’s 35 stations and the El Paso Chihuahuas Team Shop on Durango.